Jimi is finally at the age where he can handle doing some small crafts (with some guidance). 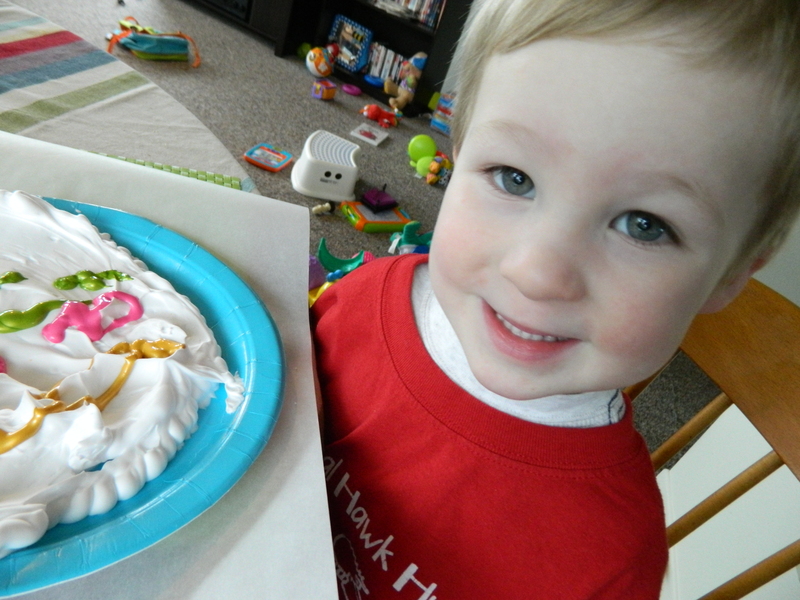 For Valentine’s Day, I had him do the easy craft of coloring on coffee filters and flicking water on it to make cool color blends. We turned those into cards to mail to family. 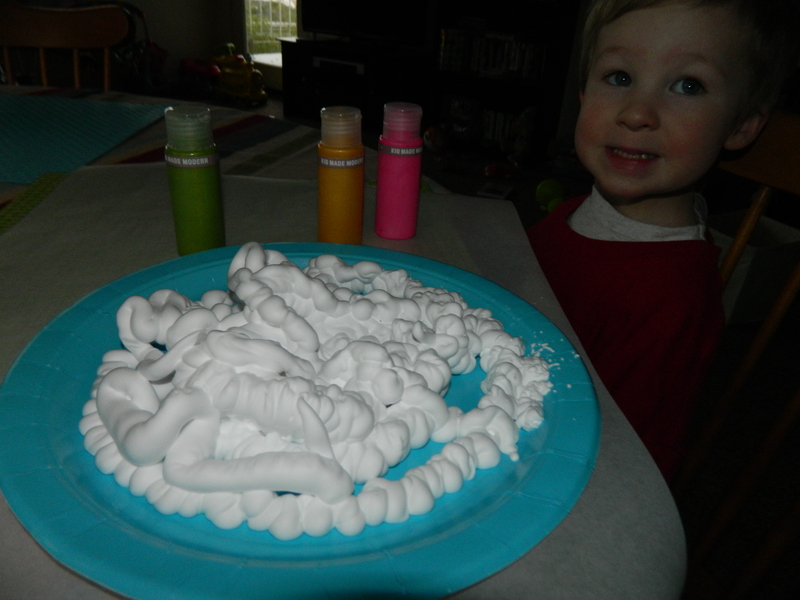 I saw this cute Easter craft on pinterest using shaving cream and paint and thought it would be a good one for Jimi to try (original post can be found here). 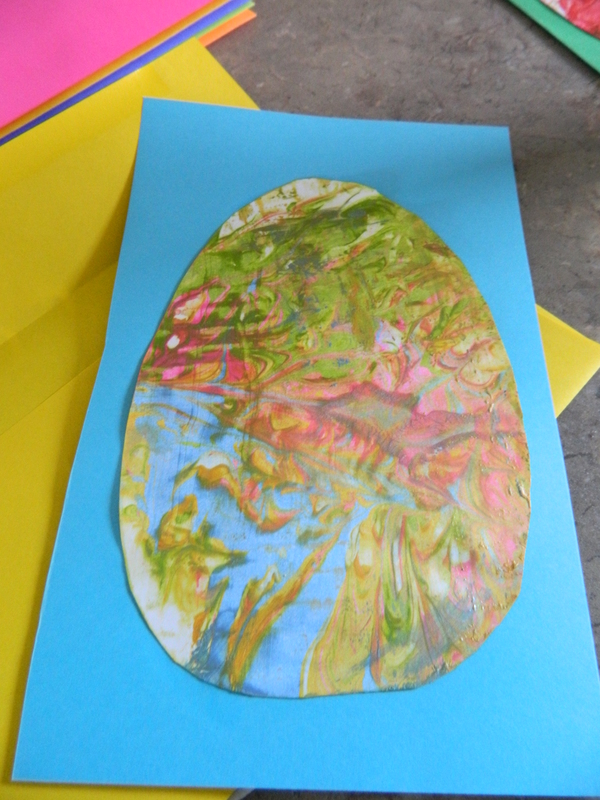 I found a set of glittery acrylic paints on clearance at Target, bought some cheap shaving cream, did a google search of egg templates until I found one I liked, traced it onto some card stock I already had and cut them out. 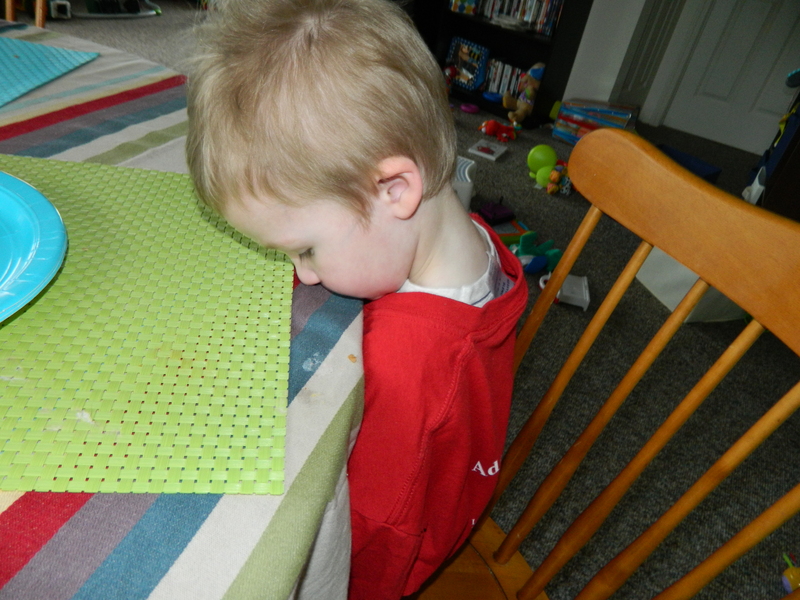 A grumpy boy because I made him wear one of my shirts over his clothes. Ready to add the paint. 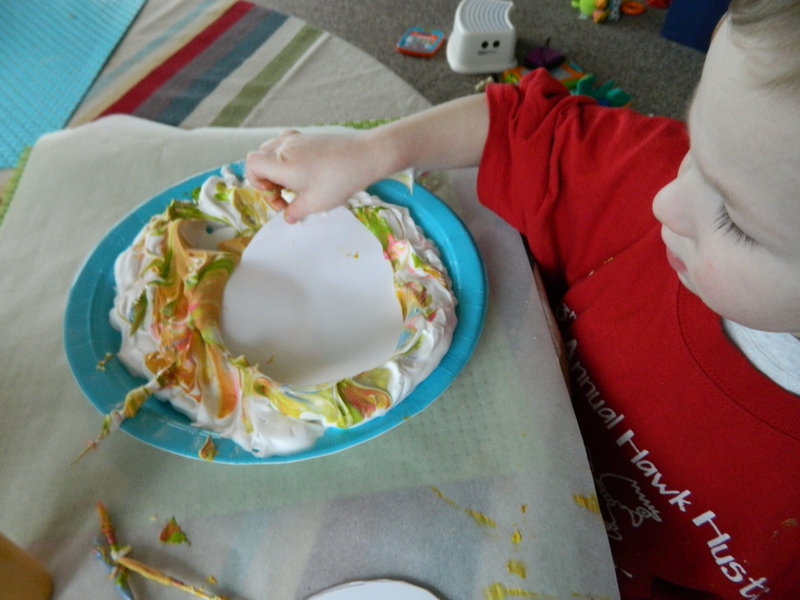 Pressing the egg shapes into the shaving cream/paint mixture. 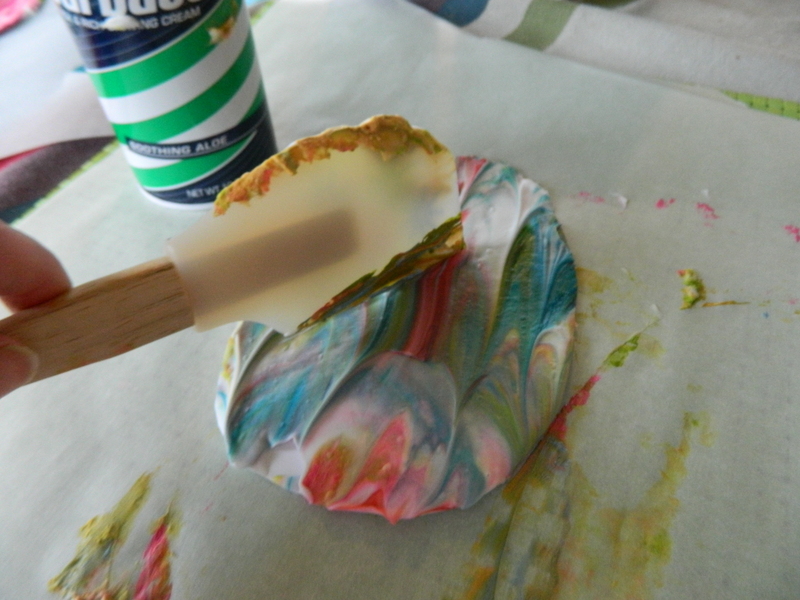 Letting the shaving cream/paint mixture set on the card stock. I used a rubber spatula to scrap off the shaving cream. Our His final project. 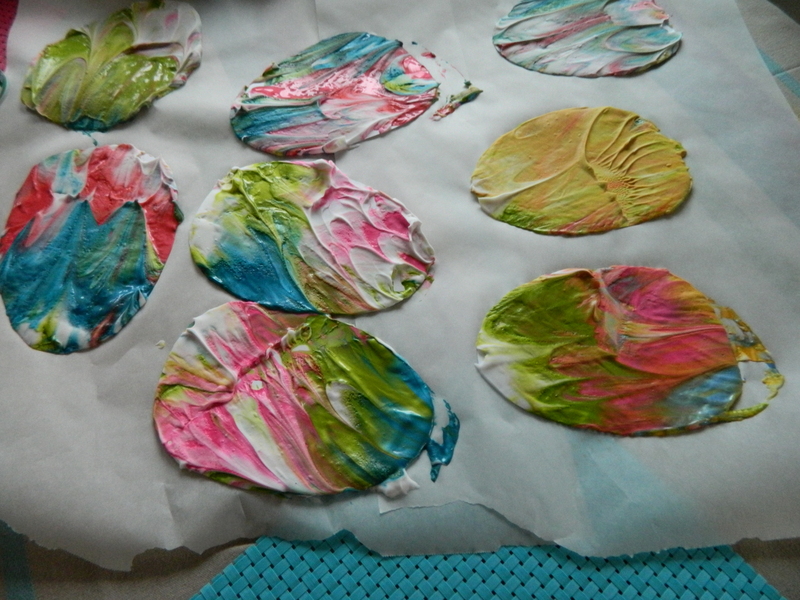 Glued on to card stock to make them into Easter cards. 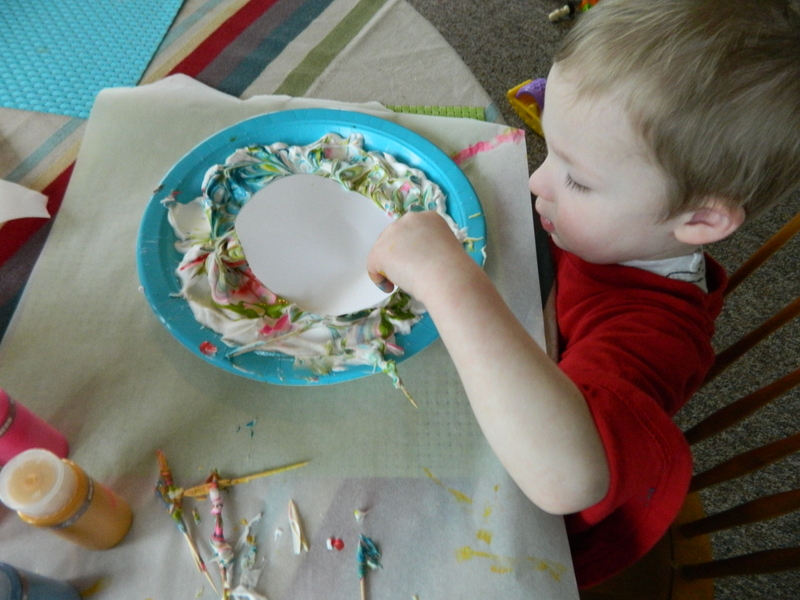 This entry was posted in Craft, Easter, Easter Craft, entertaining toddlers, Holidays, Jimi, project, toddler, two year old craft, Uncategorized. Bookmark the permalink.